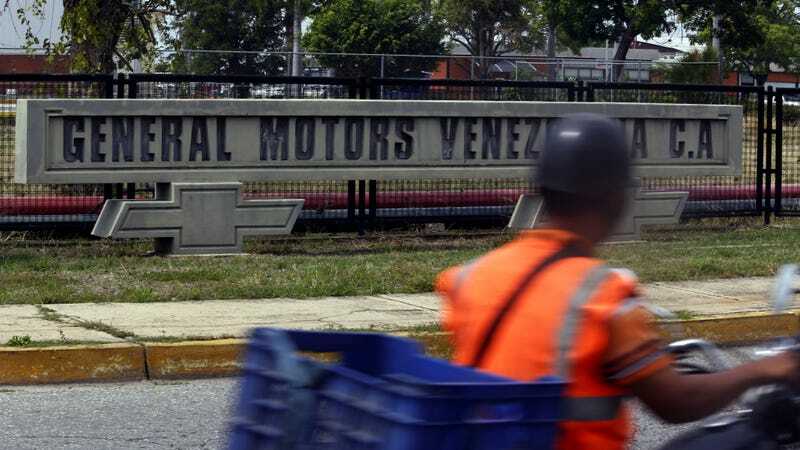 General Motors’ plant in Valencia, Venezuela, was seized last week by government authorities amidst violent protests. As a result, GM was forced to halt operations in the country. Today, the company allegedly informed almost 2,700 staffers (at least some via text message) that they are no longer employed at the plant. According to workers, however, GM was already dismantling the plant before the seizure was announced, the story notes. The plant, which once produced compact cars, pickup trucks and SUVs, has only been making spare parts as of late. It is unclear how much money each worker received, but union leaders told Reuters that it was too low. “It must be said clearly, the Venezuelan state has not expropriated or has in its plans to expropriate the General Motors plant, let alone confiscate. The government is supporting and wants to reactivate to its highest level of General Motors production in the hands Of its rightful owners, and this we have transmitted directly to the current president of the company in Venezuela, we have said clearly come here, from the face and share with us the options that exist to restore to normality the operation of The company, “the minister said in the program Encendidos by VTV. Torrealba went on to say that whatever did happen, it was the result of a civil lawsuit between GM and local dealers over non-delivery of vehicles. We’ve reached out to both GM and the Venezuelan embassy in the United States for clarification. UPDATE #2: We received an e-mail bounceback from the Venezuelan embassy, saying that the e-mail address provided doesn’t work. We’re going to call instead. UPDATE #3: It’s 5:55 PM at the moment, and the Venezuelan embassy is closed for the day. The phone system does not allow you to leave a message. We’ll keep trying.